Get your nopCommerce online storefront close to your customers. Enterprise grade nopCommerce hosting with a premium customer support. Everything you need to run a successful online store. Enterprise grade nopCommerce hosting with dedicated phone support. Everything your need to run a high traffic nopCommerce online store. Your nopCommerce site running on a fully managed Microsoft Azure Cloud environment configured and managed by our Azure cloud experts. Why Keep Hosting your Unique nopCommerce site with a Comodity Hosting Provider who doesn’t care? We are committed to helping the nopCommerce community provide the fastest online stores to their clients. We care about each client’s site as our own. Through our partnership with Amazon AWS, Softlayer, Rackspace and Google we are able to deliver the best hosting infrastructure available today. Drundo launched back in 2003 as a Microsoft Hosting service provider providing Asp.Net 1.1 and MSSQL 2000 Server hosting services. Our mission is to offer high-quality high-performance nopCommerce hosting service running on a global enterprise grade infrastructure. If our paid plans are above your budget please take a look at our Free Plan. Tackle the complexity of PCI DSS quickly and effectively, with audited and certified cloud infrastructure. Drundo “bundles up” the hardware and software configuration and managed services you need to help delineate our responsibilities from yours. Unlike most commodity hosting vendors, we don’t try and claim to be experts in all web application software available on the web. We only offer service for web applications like nopCommerce we know and have development experience with. 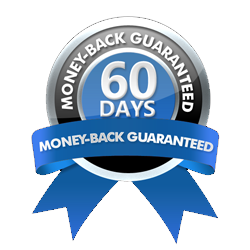 We are so confident in our services, that we back them with a 60 day no questions asked money back guarantee. If within the first 60 days of service you are not satisfied with the web site performance, customer support or any other aspects of our services, you can cancel your account directly from within your account management portal and request a refund by submitting a billing support request. All hosting service transactions billed to your credit card will be automatically refunded back to your credit card on file. There will be no cancellations or other fees, you will get a full refund. Our servers are running on Softlayer’s cloud infrastructure. Softlayer was acquired by IBM back in 2013 and is currently the biggest data center and infrastructure provider in U.S (bigger than Microsoft Azure with more than 25 Data-Centers worldwide). We have been partnering with Softlayer since 2005. SoftLayer also offers a wide range of Network Points of Presence (PoPs) throughout the world. Connecting these data centers and PoPs is a redundant, very high-speed network. Therefore, no traffic between data centers or PoPs is ever routed over the Internet but rather stays in SoftLayer’s private network. Domain Name Servers (DNS) are the Internet’s equivalent of a phone book. They maintain a directory of domain names and translate them to Internet Protocol (IP) addresses. A highly available and scalable global cloud (DNS) is a must for every high performance web site. At Drundo we have integrated our ecommerce pci compliant hosting service with one of the best DNS service powered by Amazon Route53 DNS Service. Each website hosted with Drundo has superfast DNS response and is protected from Denial of Service (Dos) attacks. With Drundo you never need to worrying about the safety of your store’s data. We run automatic backups to ensure your ecommerce website and its data will always be safe. We perform daily database and web content backups for each web site hosted with us. In addition to our local server backups all sites are automatically backed up on Microsoft’s Azure cloud by Microsoft Azure Backup Vault. Microsoft Azure Backup allows files and folders to be backed up and recovered from the cloud, and provides off-site protection against data loss. Drundo is partnering with Rackspace to delver enterprise grade, secure business email service to our clients. Anywhere, anytime access is a requirement for businesses today. With Rackspace Email, you can access your email using Outlook, a mobile phone, or Webmail application (with many of the features you’ll find in Gmail). Say goodbye to spam and viruses with our premium anti-spam and anti-virus protection. And unlike some other providers, we help keep your business email private and secure with a strict ad-free policy.